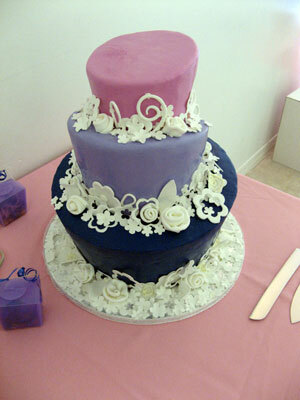 A wonderful selection of purple, pink and blue hued wedding cakes. 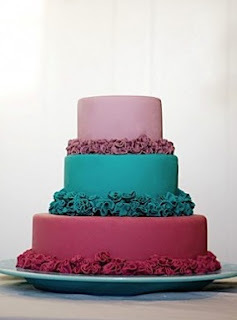 This contemporary cake has 3 tapered tiers finished in a triad of complimentary colored fondant, coordinated with the reception decor. 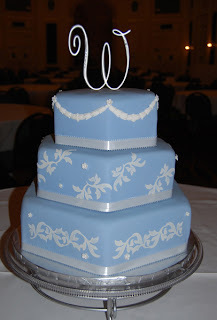 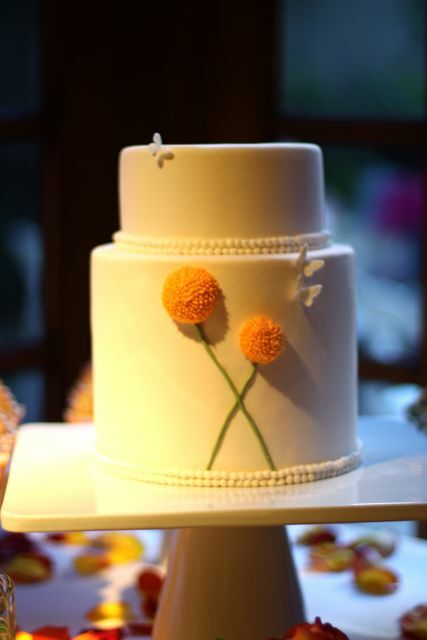 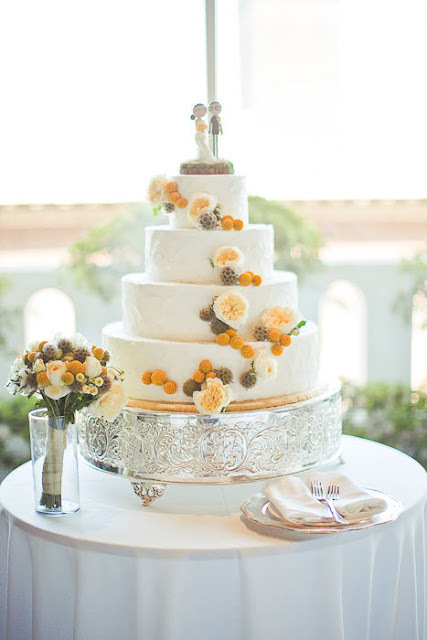 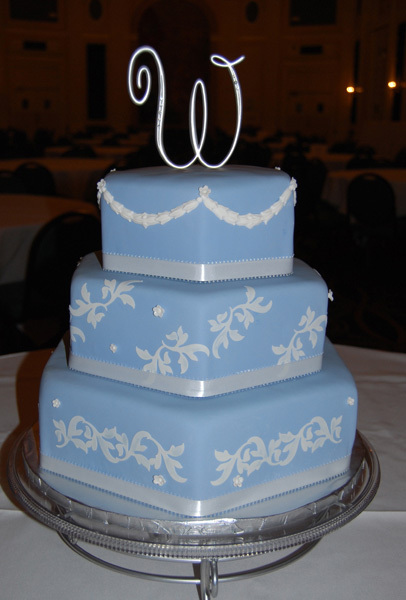 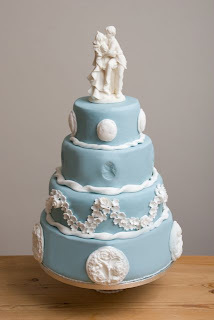 We accented with delicate, white floral fondant tracery. Round three tiered wedding cake with each tiered painted in a different color. 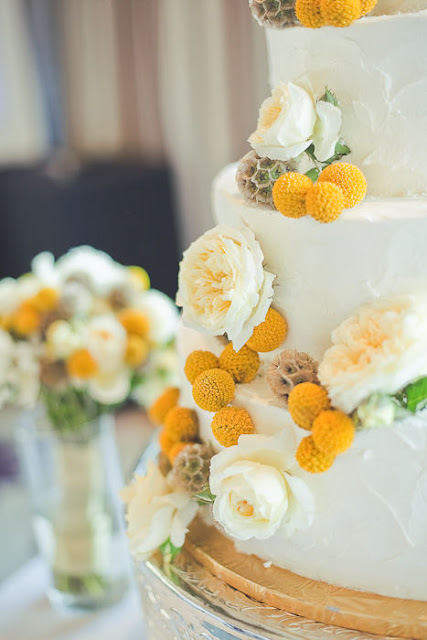 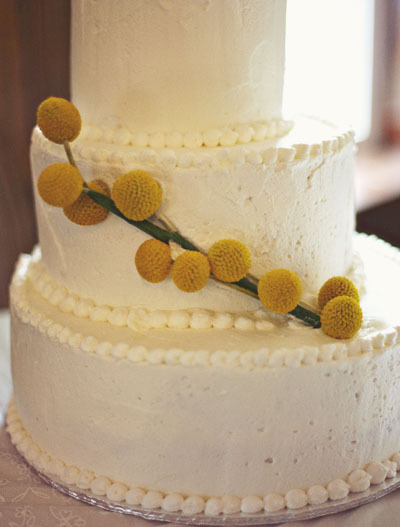 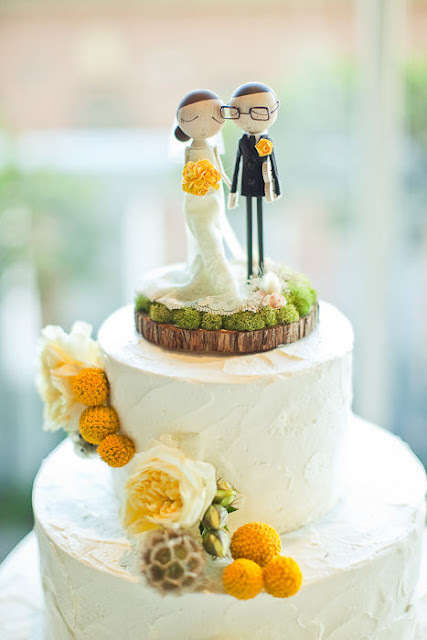 Wedding cake ideas and inspiration featuring the wonderfully happy, cheerful and bright Billy Balls. 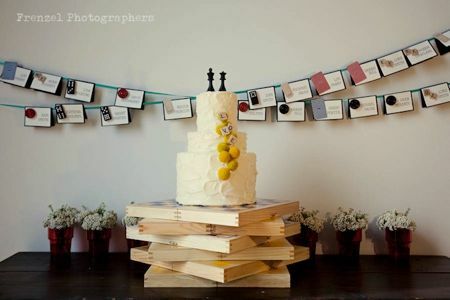 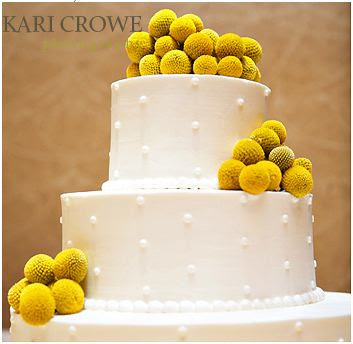 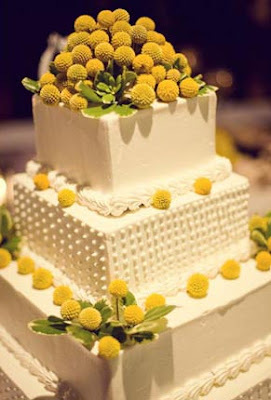 Three tier round textured cake decorated with yellow Billy Balls and Queen and King chess pieces as a cake topper. 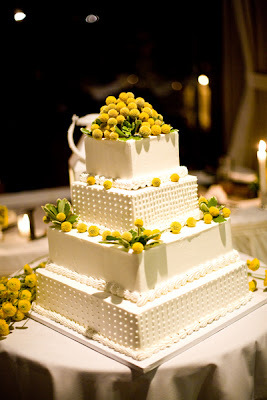 Three tier white wedding cake decorated with Billy Balls. 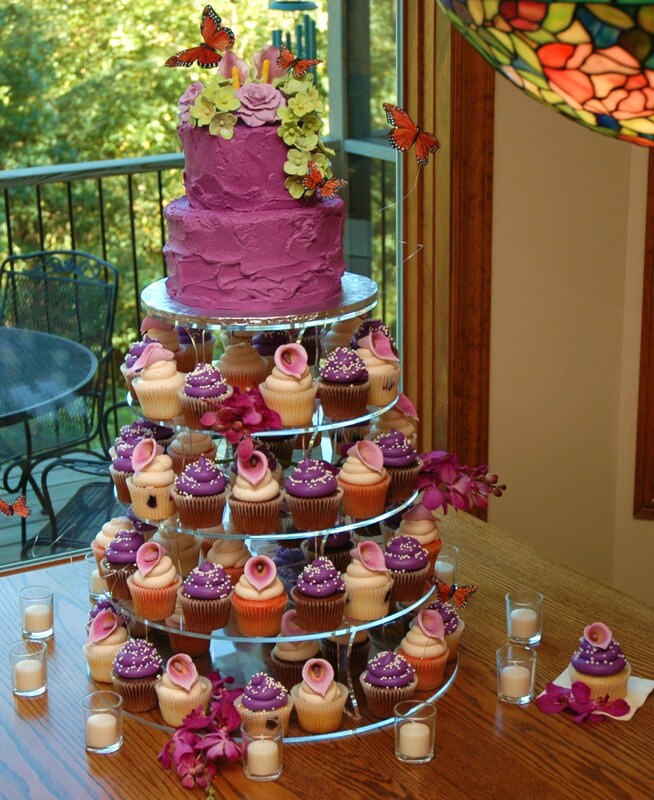 Sugar butterflies and sugar Billy Ball flowers two tier wedding cake. 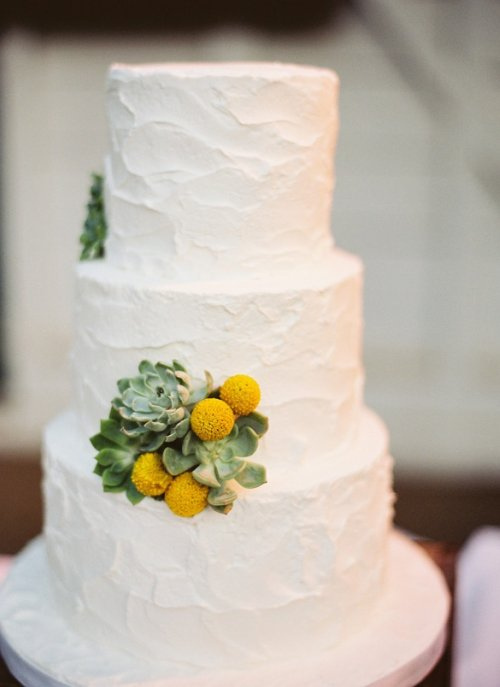 A beautiful white wedding cake composing of three round textured tiers and accented with succulents and billy balls, from Luna and Chloe. 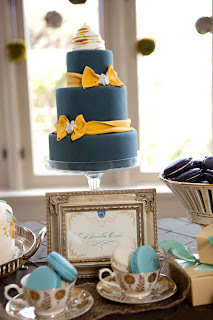 And another example of just how gorgeous this theme can be, from Style Me Pretty. 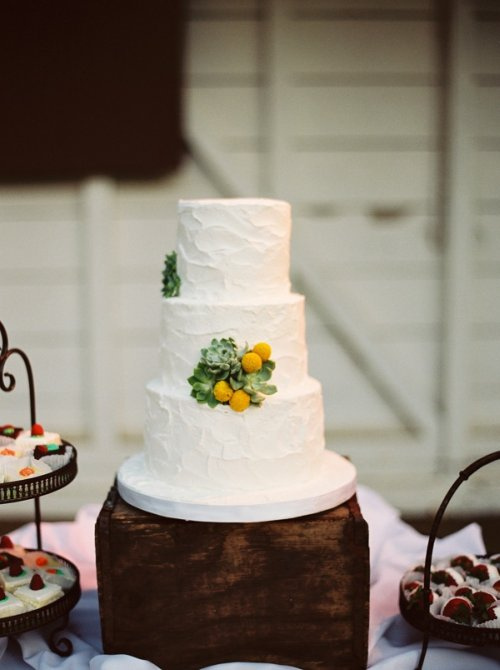 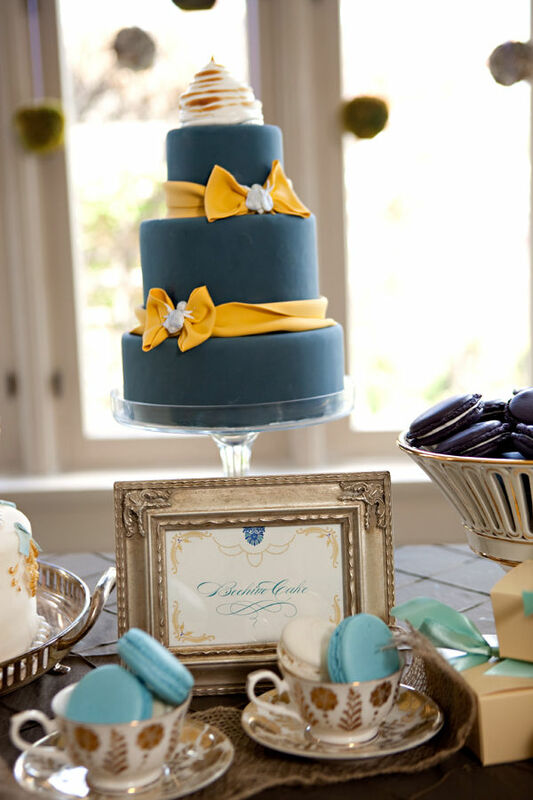 Wedding cake inspiration featuring dark blue cakes with yellow accents. 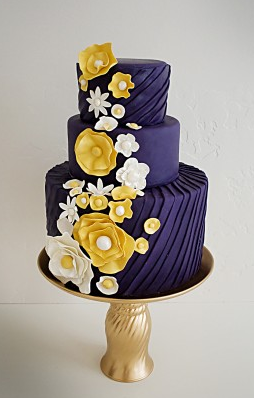 Dark navy blue wedding cake with large yellow and white sugar flowers. 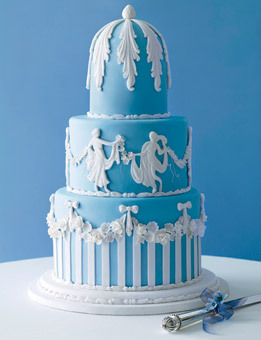 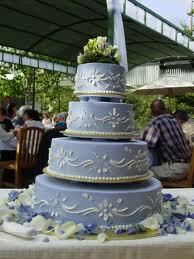 Elegant three tier, round, dark blue wedding cake with yellow sugar bows at the base of the tiers. 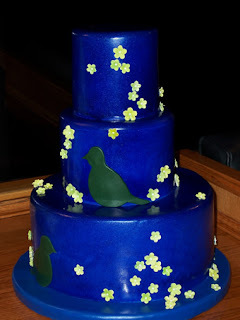 Dark royal blue wedding cake with dark green birds and small white and yellow flowers. 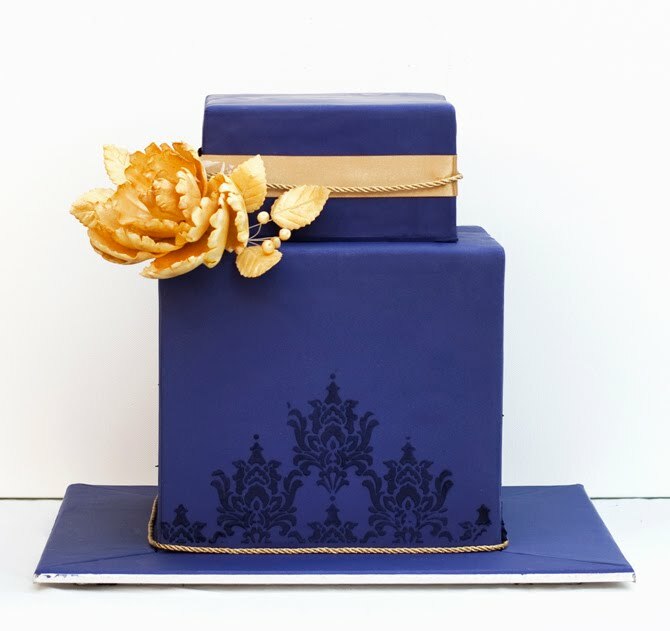 An equisite dark blue two tier square wedding cake with damask pattern and a hand painted gold peony flower. 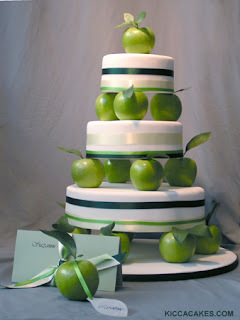 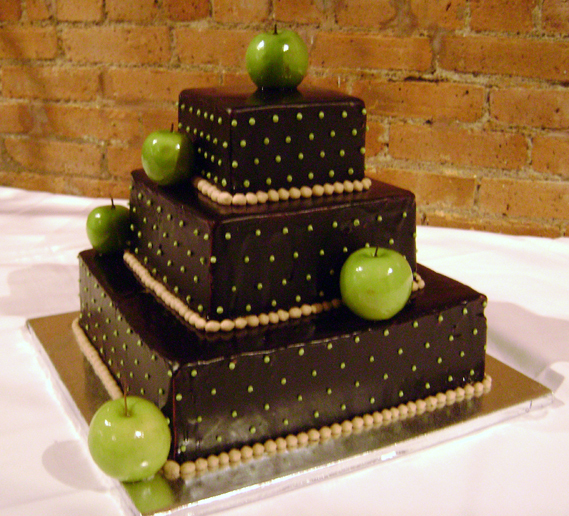 Wedding cakes featuring lush green apples as the main decorative element. 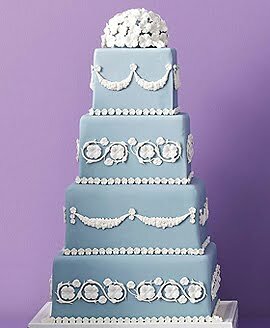 Your wedding guests will not be able to stop themselves from being drawn to these unusual, unique and beautiful wedding cakes! 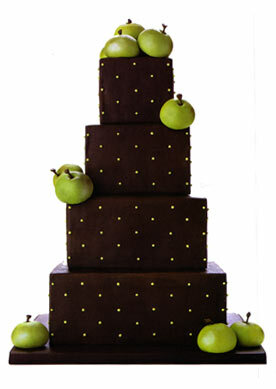 Three tier square apple wedding cake covered in chocolate icing with beige polka dots and decorated with luscious green apples. A similar variation to the cake above set over four slim lined elegant square tiers. 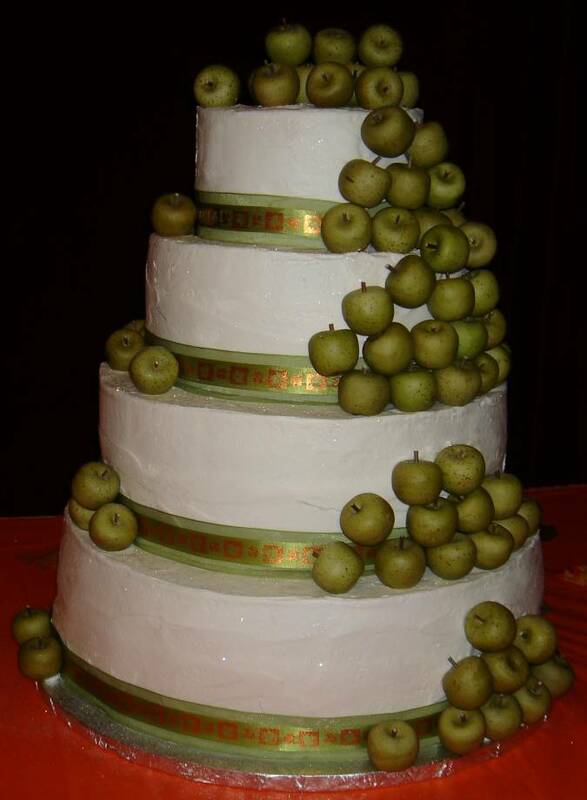 A white wedding cake featuring many green apples set over four round tiers. A three tier round wedding cake with beautiful big green apple separating the tiers. 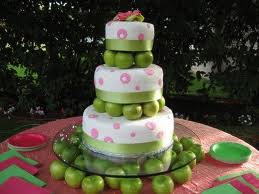 Three white cake tiers with pink circles icing decoration and lots of green ribbon and green apples! 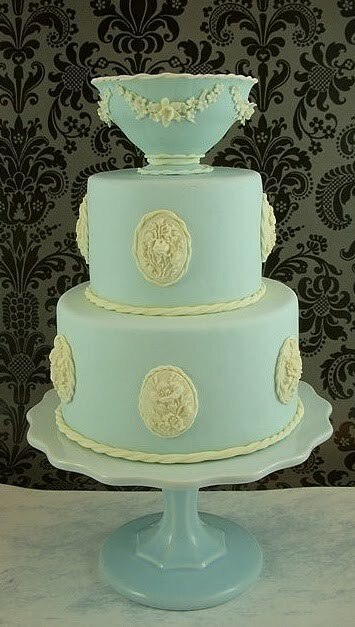 Lovely and original. Wedding cake inspiration with white of light colored wedding cakes adorned with red coral. 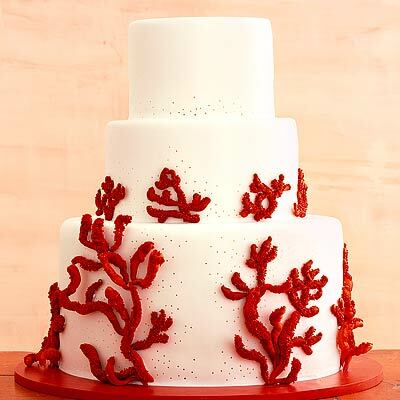 Perfect for a summer or beach wedding. 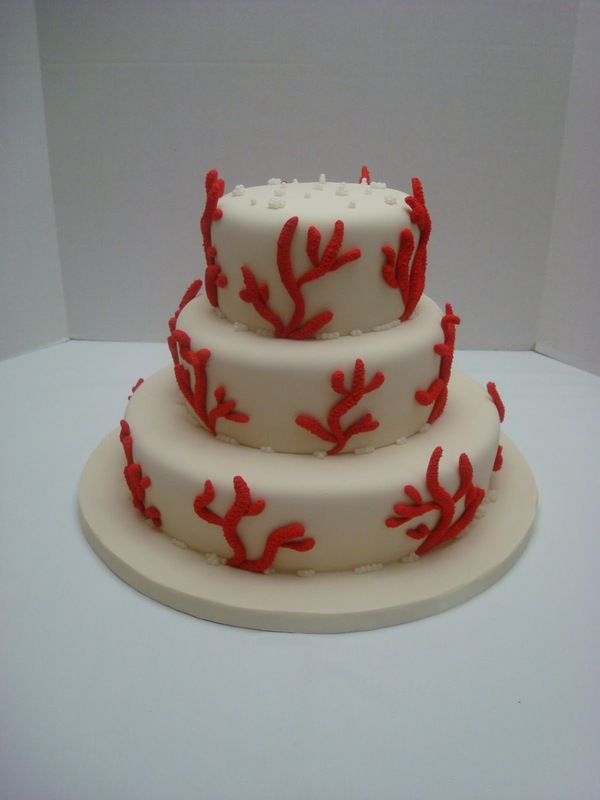 Red fire coral wedding cake. 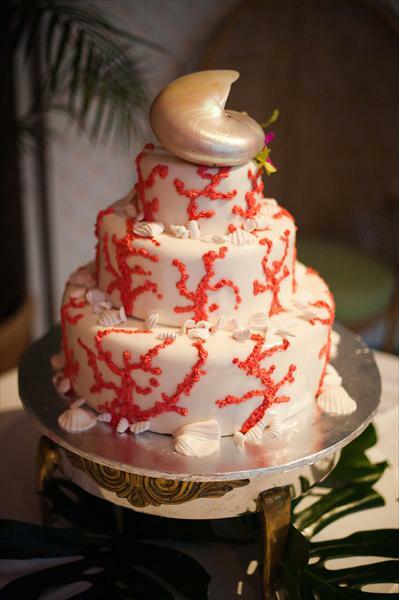 Red Coral and sea shells wedding cake idea. 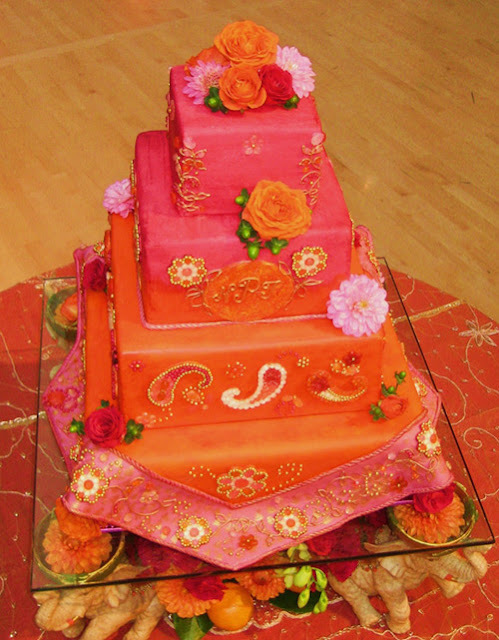 A collection of beautiful, cheerful and bright wedding cakes made with flowers and decorated in bright pink and orange icing. 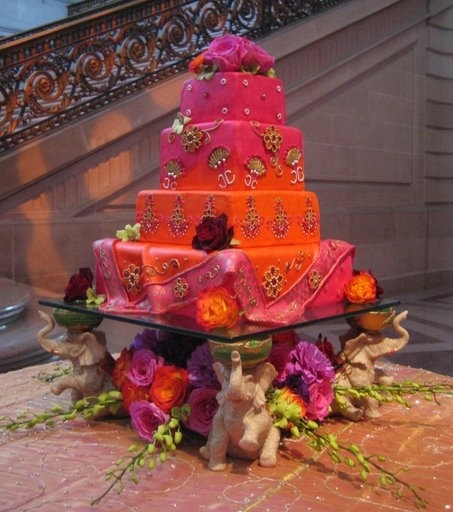 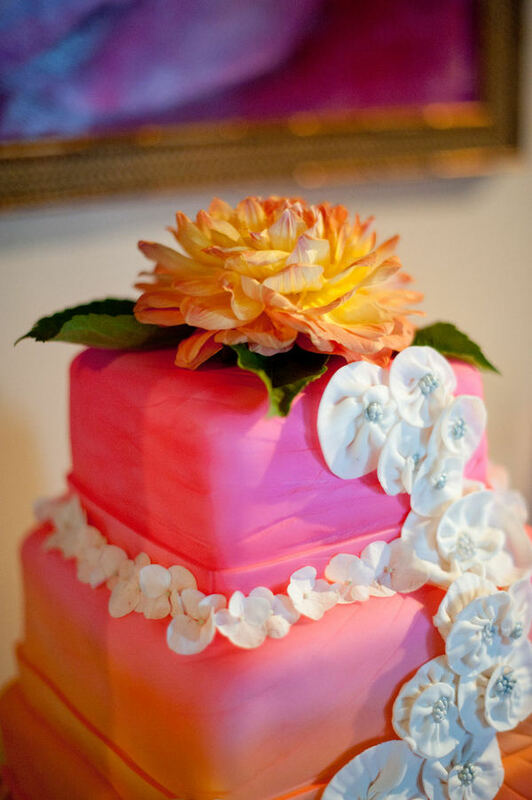 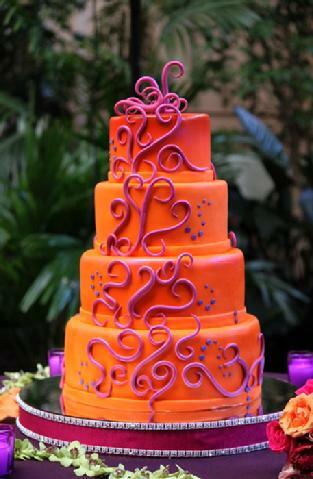 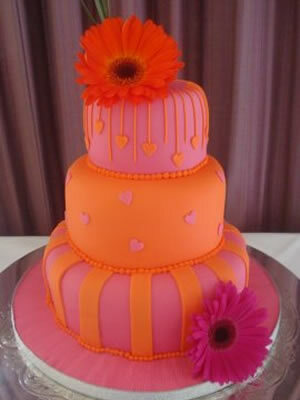 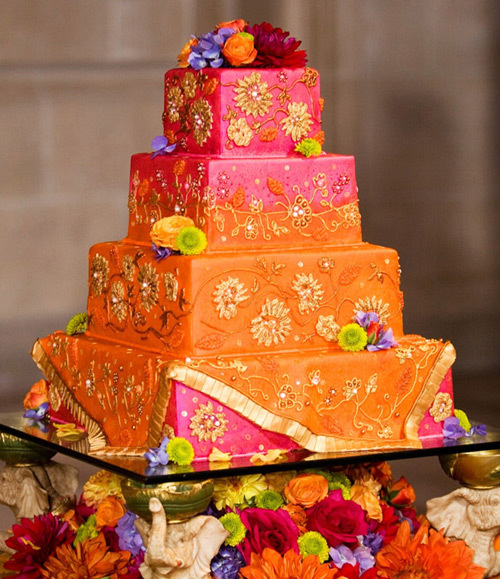 Three square orange and pink wedding cake ideas from Not Just Cheesecakes. 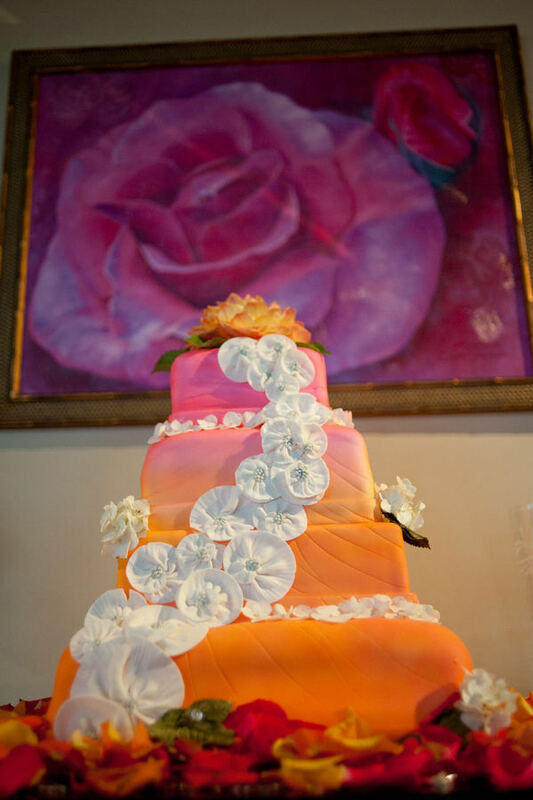 Stunning four tier square wedding cake with an orange to pink gradient and white flowers via Style Me Pretty. Looking for something different to the traditional wedding cake, something more edgy that will impress your guests? 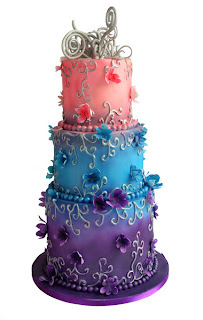 If so then you have come to the right place! 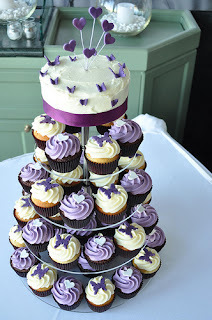 Today's post is all about purple wedding cupcakes! 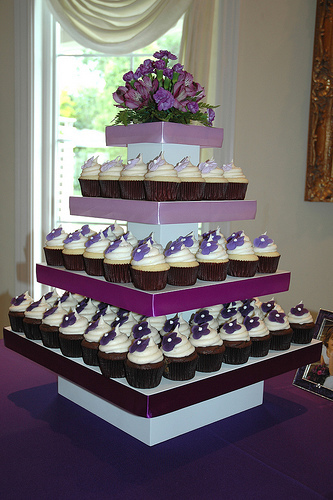 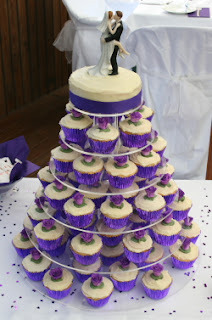 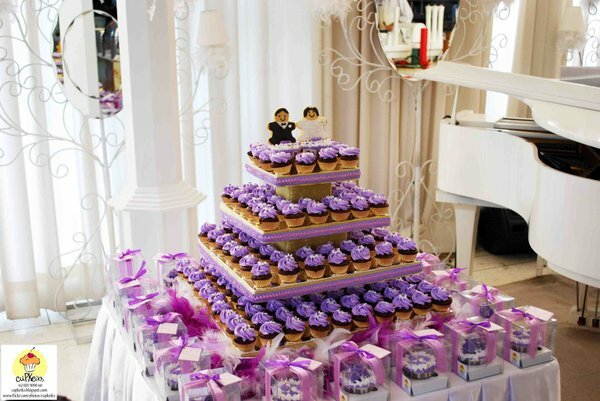 A wedding cupcakes tower made out of different purple color tones. Purple butterflies theme wedding cupcakes. 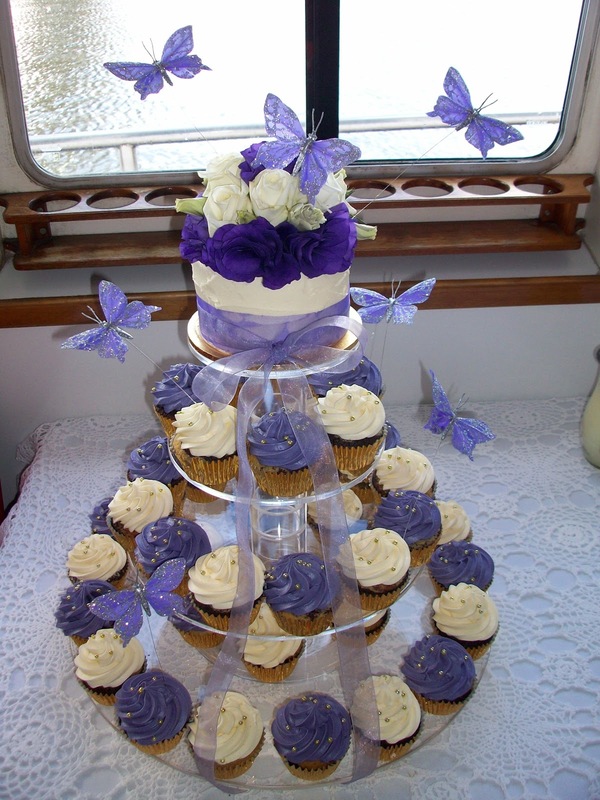 Lovely purple and white wedding cupcakes decorated with little butterflies and hearts. A huge round purple and cream wedding cupcake tower. 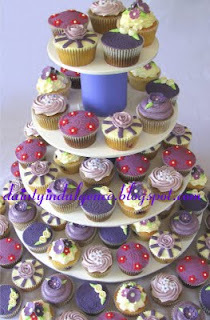 Purple wedding cupcakes with roses. 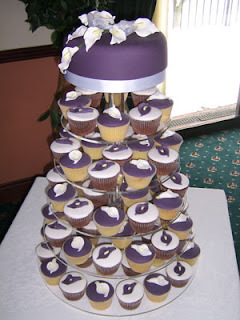 Dark purple and white cupcake wedding cake with calla lilies sugar flowers. 6 dozen cupcakes with a 2-tier purple wedding cake on top with a rustic finish and decorated with flowers and butterflies. Square tower with stunning purple cupcakes perfect for a wedding.